Can Biel is a mountain house with two floors in front of the village church. The ground floor accommodation has got a living room with fireplace, kitchen with refrigerator, microwave, ceramic hob and all utensils. 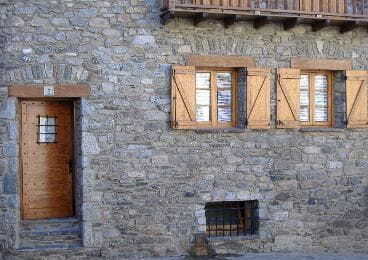 Two bedrooms, the main has access to a wooden balcony overlooking the street Pou, a bathroom with shower. The village of Vilallonga de Ter is located on the left bank of the River Ter, at 1067 meters altitude is the middle of the Camprodon Valley, 6 km from Setcases where you get to the ski slopes of Vallter 2000 plays added Tregurà neighborhoods, Abella and la Roca. The main attractions are the Romanesque church of Sant Martí, and the Font Blanca.